Back for a second year by popular demand! Welcome aboard the Discovery for a leisurely and informed Yaquina Bay sightseeing tour with ample good company, food, and beverages for a good cause. The Lincoln County Historical Society has made special arrangements with Marine Discovery Tours for a special Yaquina Bay guided boat tour, Saturday, May 19th, 5:30 to 7:30 pm. Tickets are $75 for this fundraising event for lower floor renovations at the Pacific Maritime Heritage Center. A picnic supper prepared by Mo’s is included. Beer and wine will be available. Sara Skamser of Foulweather Trawl will be onboard to share insights and answer your questions about the Yaquina Bay’s far-reaching fishing fleet. Steve Wyatt, Director of the Lincoln County Historical Society and author of The Bayfront Book, will be on hand to share insights into the Yaquina Bay’s rich history. All proceeds from this adventurous event will go towards renovations at the Pacific Maritime Heritage Center. The current focus is to complete the highly anticipated Doerfler Family Theater. Space for this special event is limited. Tickets for this upriver cruise should be purchased in advance. 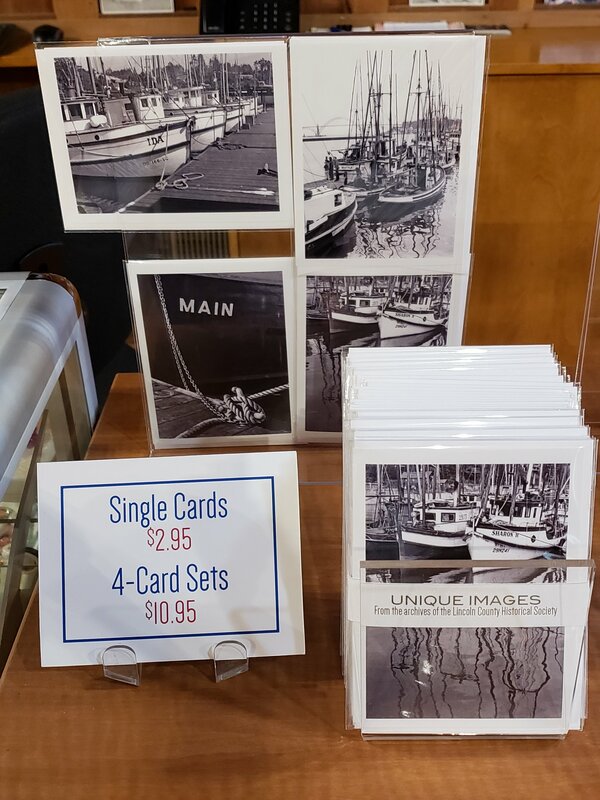 Yaquina Cruise tickets are available at the Burrows House Museum or Pacific Maritime Heritage Center, Thursday-Sunday 11-4, or by calling (541) 265-7509. The Krack is back! The Lincoln County Historical Society’s Annual Crab Krack will take place 4pm, Sunday, February 11th at the Best Western Agate Beach Inn in Newport. Just in time for Valentines’ Day. Treat your date to a luscious fresh local Dungeness crab dinner and live jazz. This whole crab dinner event includes various side dishes, an array of desserts, no-host bar, live music by the Bringetto Jazz Duo, and both a silent and oral auction. In short, something for everyone! Event proceeds will be used to complete lower floor renovations at the Pacific Maritime Heritage Center.